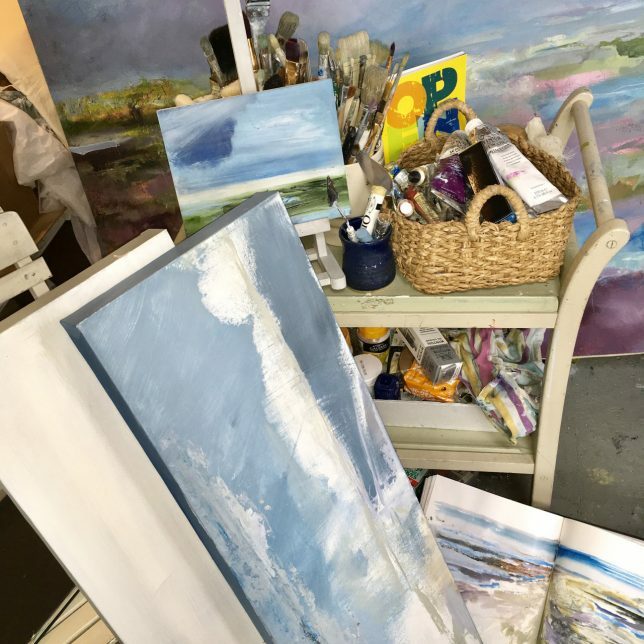 After the reflections during the Easter break, it’s back to the studio happily creating new work for the annual Norfolk & Norwich Open Studios 2018. I really enjoy taking part is this event as it’s a wonderful opportunity to meet new and regular visitors. The free brochures are out and should be available in lots of shops, libraries and galleries around Norfolk as well as online. This year I’m enjoying working on several small scale 15x15cm paintings as well as showing a new selection of prints and greeting cards – everything is for sale! My studio is open 26/27/28 May 2/3/9/10 June. time 10.00am till 5.00pm. It is listed on page 33 of the yellow Open Studios booklet and my ID number is 113. Please come along and say ‘hello’.